Visit Pearl Harbor and see the highlights of historic Honolulu. 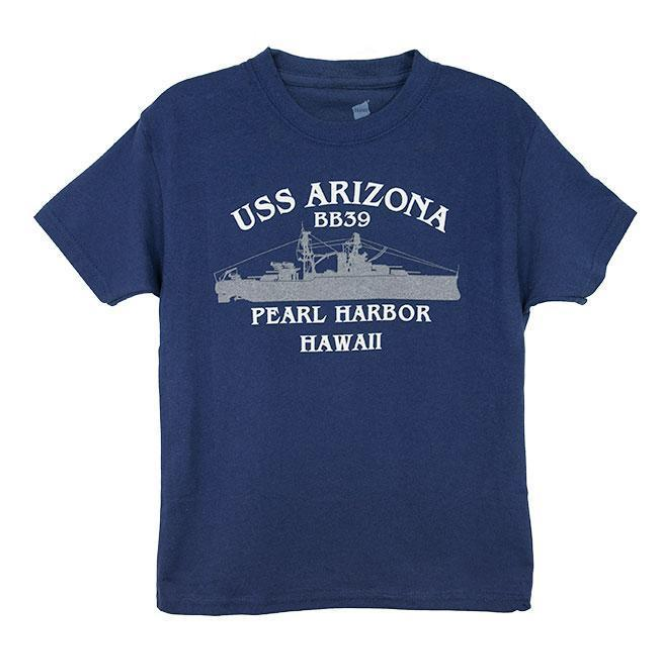 Looking for a short tour to Pearl Harbor? 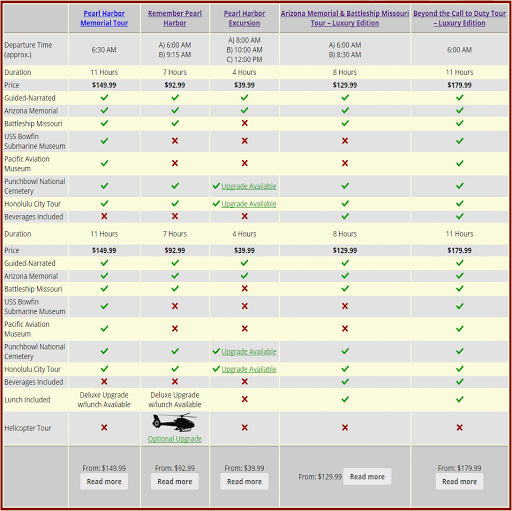 We’ve got just the option with our Pearl Harbor and Honolulu City Tour, now with two convenient departure times. If you want to explore the Pearl Harbor Visitor Center and the USS Arizona Memorial, and then hit the beach for the rest of the afternoon, you’re on the right track for a perfect morning tour. Enjoy expert narration from a professional, certified tour guide. Prepare yourself for a captivating lesson in history as we retrace the dramatic events that led to the United States entering the Second World War. Your guide will also share tips for getting the most out of your time at Pearl Harbor. Discover in-depth exhibits and fascinating displays at the Visitor Center. Pause for a moment of quiet remembrance aboard the USS Arizona Memorial. 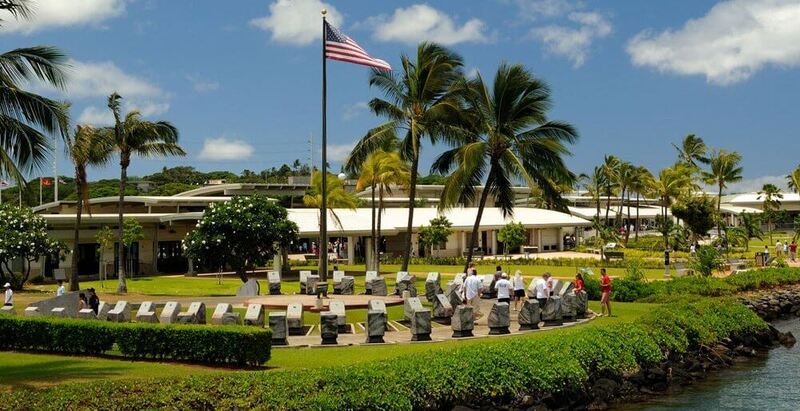 Choose the perfect tour for a convenient, easy visit to Pearl Harbor. Book today and enlighten yourself with our expert Pearl Harbor history guides! After Pearl Harbor, you will visit the historic district in a Honolulu City Tour. You’ll see ‘Iolani Palace—the only royal palace on United States soil. Learn the story of the iconic King Kamehameha statue, and go inside the volcanic crater called Puowaina, which is now Punchbowl National Cemetery of the Pacific. If you bring a bag (which you should not) you will pay a storage fee at Pearl Harbor. Bags cannot be left on tour vehicles. I knew I wanted to pay my respects to the Sailors and Marines entombed at Pearl Harbor, my heart is forever touched and tears were shed. Strollers not allowed and no color drinks (water only and you will want it!). Affter the film you will come out likely very somber reflecting on what was happening and how people. You stand in a long line to see a film and be ready for it! I went on a sunday that a person stated was the slowest day. I was very moved by the guns raised in honor on board the Missouri. I highly recommend taking at least 4 hours to enjoy the entire site. The place itself is so calm. The history was so interesting. There is so much to do. Learning about this fateful day in school is nothing compared to the rush of emotions you feel as soon as you walk thru the gates. A sense of peace comes over you. Beautifully preserved, a sad reminder of our unfortunate history. A must see for everyone. Be careful of looters. Signs posted everywhere. If you’re not on a tour bus do not leave anything in your cars. Other than that stress, the tour at Pearl Harbor was pretty epic. Also was fun to take in some history of Honolulu and see the Punchbowl cemetary. The trip was very professionally run, the commentary was informative and funny, and the timing was perfect. Wish we could have got out of the bus at Punchbowl, but I guess no buses are allowed to stop. Anyway, it was a good tour. Everyone should go. We were very happy that we pre-paid for this tour as soon as we booked our Hawaiian cruise because it was very important to us. Our “Pop” served as a radar, sonar, radio operator in WWII on a submarine that patrolled the South Pacific. Very cool to learn even more about the attack, see the Punchbowl memorial, and learn some history about Honolulu. Seemed like our tour guide knew everything! Great peice of american history on the water. Love this memorial and how well it was build and still standing over the years. Very well maintained and upgrades ahve been amazing. The memorials were something you will never forget. So many lost their lives due to various miscommunications and an attitude of peace with Japan. Be prepared with tissues. You will learn exactly what happened that day, and you will cry. Please be respectful, and keep your cell phones on silent. All in all it was a patriotic day for us. Pearl Harbor mixed with Punchbowl National Cemetery had me feeling personally thankful for those whoe served and currently serve. Learned a lot from the exhibits and our tour guide. Glad I did this tour. Respect!